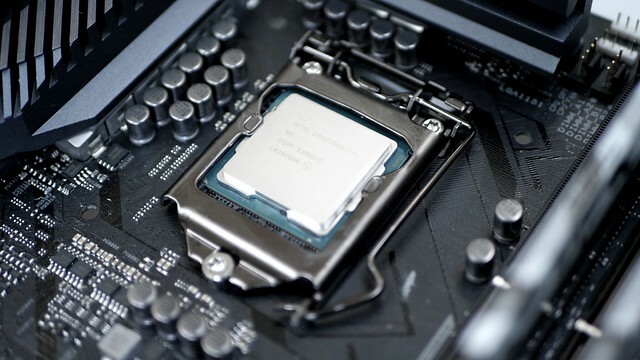 The Digital Foundry has posted a review of Intel's Core i9 9900K CPU. Intel's Core i9 9900K is easily the fastest CPU intended for a mainstream PC platform, but there's a catch: its price. In the UK, Intel is asking for a mammoth £600 for the processor - effectively a 33 per cent price hike over the Core i7 8700K in exchange for 33 per cent more cores and threads. However, even in the most extreme cases we could muster, the overall net benefit for gaming is more in the 10 to 11 per cent range. Put simply, the value isn't there, especially when simply engaging the enhanced turbo on a Z370/Z390 board tends to claw back most of those percentage points and gives an equivalent experience. 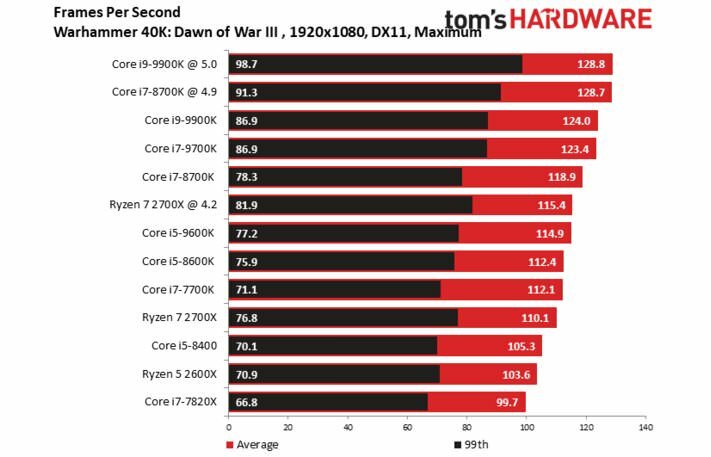 Yes, overclocking is possible, but gains are limited. I'm not especially keen on putting anything higher than 1.3v through a Coffee Lake chip, so on the sample I was given from Intel for this review, that gave me a locked 5.0GHz on all cores - but it really needs to be paired with a high-end cooling solution, which you don't get included in your £600 purchase. 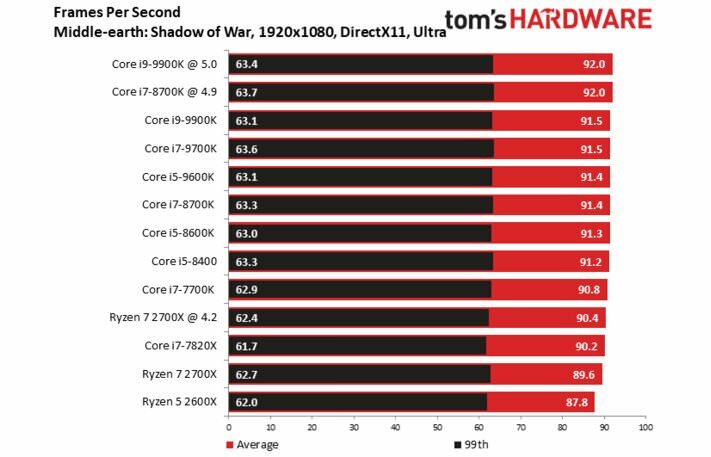 A 'mainstream' eight-core/16 thread CPU is a beautiful thing though, and to see all of those cores hitting and sustaining 5.0GHz is a wonderful sight - but really, your use-case scenario to justify such a processor has to cover both heavy gaming and high-end productivity to get the value from this premium-priced offering. 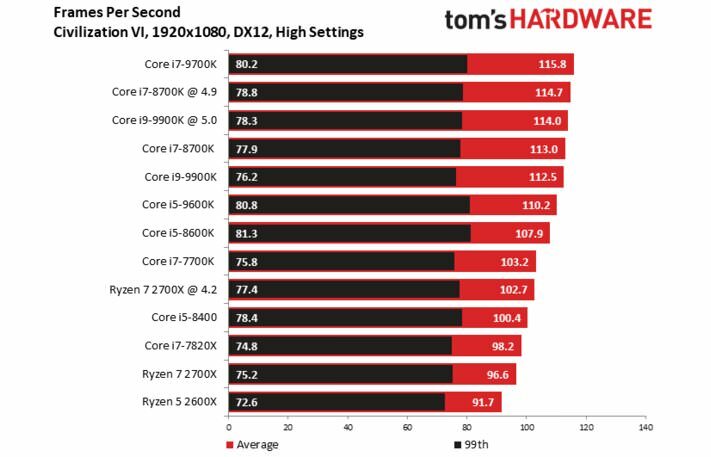 If you're looking for an out-and-out, ultra-fast games machine, the Core i7 8700K would still be my choice - though its eight-core/eight-thread successor, the i7 9700K, may prove a worthy replacement (Intel did not send one for review). And in fact, if productivity is more your focus, the pricing on the i9 9900K is so high that a little over a £100 more gets you a Threadripper 1950X with twice the cores and threads - though memory costs will be higher. Intel's pricing puts the 9900K into an uncomfortable space then - and generally speaking, there's the sense that all the eighth-gen and ninth-gen i7s and i9s are around £100 more expensive than they should be. 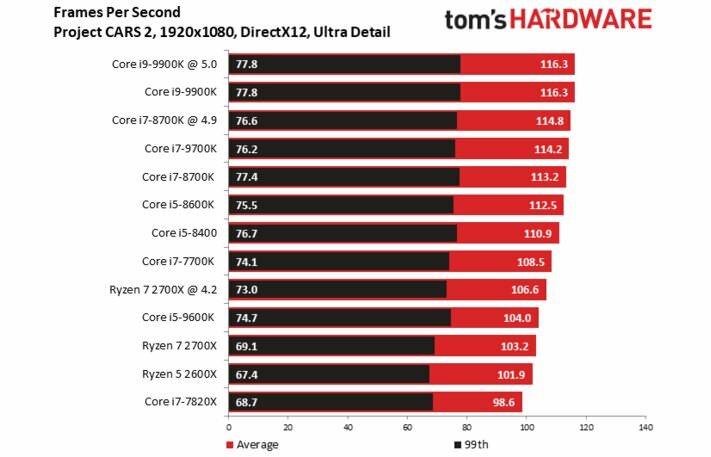 Competition-wise, that leaves the Ryzen 7 2700X. It's palpably slower than Intel's six and eight core champions, but it clearly still has much to offer - it's half the price of the 9900K for the same number of cores and comes with a perfectly adequate cooling solution in the box. On top of that, build costs decrease further as you don't need an expensive board to extract maximum performance from the silicon. It's an exceptional all-in-one offering that's well worth checking out - just be aware that today's most challenging games at their highest settings (and even a bunch of older titles) will sometimes slip beneath that 60fps threshold, where Intel alternatives - i5, i7 or i9 - are less likely to buckle. but there's a catch: its price. TBH, unless you want to waste money just get a 2700x or one of the saner priced 8k series CPUs. I am still waiting for Coffee Lake. I'm still running a i7 2600K at 4.4GHz and know it is limiting my potential due to lower CPU calls and memory stuck at 1600MHz, but I also still game primarily at 1080p, so I have not seen a reason to upgrade my entire system at this time. I think the 9900K is coffee lake. You are right. For some reason I was thinking that Coffee Lake processors had been delayed to next year, so I was not thinking about the i9 as being a Coffee Lake processor. That will show me to not bother reading reviews and just rely on my admittedly bad memory. I wish I had more faith in AMD gaming performance but I know for sure most games rarely optimize for their CPUs and bug fixes for just AMD are few and far between. Here it seems like they hold their own pretty well, which is nice, but I rarely see marketing for them. As games start trying to offload more off the GPU back to the CPU the cores and thread counts will be more important and might end up causing bigger improvements to the Ryzen. Streaming doesn’t rely as much on the GPU so cost/performance doesn’t count as much GPU so it wouldn’t surprise me to see AMD own more and more of the specialty hardware and embedded market. Still, I’m not ready to drop my Intel procs any time soon. Also you need to stop using tom's as a resource for computer information. That place is utter trash now. Used to be great but haven't been good for the better part of this decade. I'm running a Sandy Bridge i7 2700K at 4.5 ghz and have no issues running games at maximum details at 3440x1440. The higher the resolution, the more GPU bound games become. Incredible that I have been using the same CPU, motherboard and RAM for the past 7 years without needing to upgrade. Sandy Bridge was truly an amazing architecture. I bought a i7-8700k and couldn't overclock it at all, even with liquid cooling because of all the heat it was generating. I found silicon lottery online and shipped them my cpu. They delidded it which made it go from 80c at 4.3Ghz (and 100c at 4.8Gghz) to 65c at 5Ghz under max load. I was pretty impressed that such a basic process could yield such good results. Last edited by wunshot; 10-21-2018 at 06:38 AM.. The biggest thing for this chip line is the return to solder. So you don't have to delid anymore, but the chips are so up against the thermal limits of silicon, it might as well not even be a K chip. Sure, but if you are as behind the market as I am, you're doing really well on price. For open world games, where draw culls/AI pathing are from the processor/memory and not the GPU, you are limiting the throughput to the GPU as the CPU is being taxed with other operations. 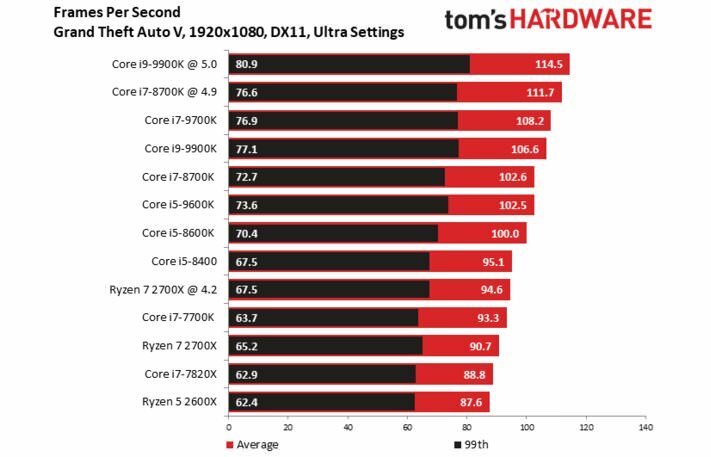 Add into the mix issues related to Meltdown/Spectre and DRM adding additional CPU overhead, and you have a case where upgrading to a newer platform will give better results, even with a previous generation GPU. Meltdown/Spectre really did hurt people with older chips but even so the 2600k's and 2700k's still go for 300$ retail still to this day. After almost a decade it barely went down in price by just a 100$'s. They still perform admirably despite not being in the top end. Their pricing scheme is a joke that keeps them profiting which is fine but it's not priced anywhere at all in accordance to manufacturing. Are you sure these newer chips listed here are contain Meltdown/Spectre fixes? I don't think so. AFAIK the first chips with corrections are the Cascade Lake chips due out later this year. It's about mitigating the software impact of the patches, not in making the hardware not susceptible to the exploits. There are just more threads and raw data output made available in a newer processor than in an older generation CPU. 8th and 9th gen are both Coffee Lake. 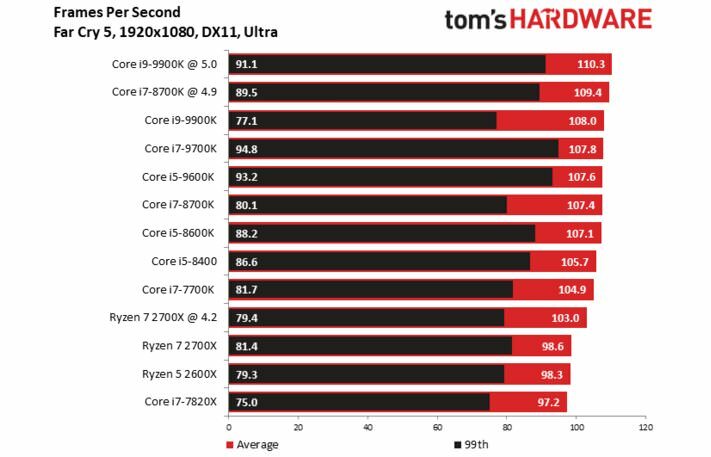 9th gen is just a refresh, and not worth the "intel tax". I cancelled my 9900k pre-order after the benchmarking controversy, and the fact that I would rather wait for Zen2 to drop. I'd rather support AMD at this time. I bought a delid tool and did it on my own. My 7700K temps dropped a good 10c after a successful delid. Time does not reduce the cost of Intel CPUs significantly. Remember we're still using Skylake architecture and yet look at the MSRP on this new chip. Even old parts on Amazon, e.g. 980X, still command near their original prices. Amazingly, from reading those graphs, Intel current chips were slowly declining towards the release of AMD Zen architecture but have actually begun ticking back up to their historical highs. AMD actually releasing a competitive line of products, in particular for game streamers, is only the first launch in what will need be a much more heated war for Intel to change its pricing strategy.